Mother’s Day Weekend TV Treat by SKYcable - Hello! Welcome to my blog! To all the moms -- this weekend, it’s your turn to relax and enjoy the kind of cable TV entertainment that’s made especially for you. On Saturday and Sunday, the Lifestyle Network, FYI, HGTV, and the Food Network will broadcast shows about every step in a mother’s life. You, together with your family and friends will love the bonding time all weekend long, thanks to SKYcable’s diverse set of channels and shows that offers the best digital cable TV viewing in the country. The path to motherhood often begins with amazing weddings. In FYI’s Best in Bridal, airing this Sunday at 7pm, we watch how two former friends out-sell and outwit each other in the hectic world of bridal retail. Viewers can watch aspiring couples find that best look to wear during their wedding day. One of the best yet often most challenging aspects of a mom’s life is during pregnancy. The Lifestyle Network’s new series, premiering this Saturday starting 9pm, is What to Expect When You’re Expecting. The show follows the lives of five interconnected couples as they discover the challenges and thrills of having a baby – all while realizing that expectations do not always match reality. When moms need a break, they need space of their own to simply unwind. HGTV’s Mom Caves, this Sunday at 6pm, is about how moms create their unique sanctum at home. If dads can have a man cave and kids get a play room, moms can have their own Mom Caves too! At the end of the day, moms are dedicated to giving more happiness to their friends and family. 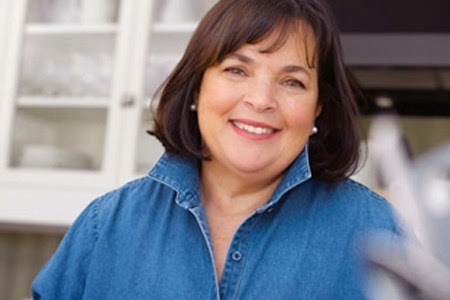 With the Food Network’s Barefoot Contessa: Back to Basics, moms can learn new recipes that add more flavour to every meal. In this long-running show hosted by Ina Garten, viewers will bedazzled by the elegant dishes that she prepares in her Hampton home. To never miss-out on these fantastic shows especially made for you, subscribe now to SKYcable. Are you a fan of the Lifestyle Network? It’s part of SKYcable’s latest and most affordable plan, Dual Def 299! And if you want to stay tuned to FYI, HGTV and the Food Network, and yet do not have them in your basic cable TV plan, they can be added to the channel line-up via SKY Select. Only SKYcable has quality home entertainment for you and the entire family, with its widest range of over 190 HD and standard definition channels, and top-of-the-line services such as SELECT that enables you to add channels to your basic plan, iRECORD that records, pauses, and rewinds live TV, and PAY-PER-VIEW and FREE VIEW that let you watch live and real-time coverage of sporting events and concerts, as well as movies and TV specials. To subscribe and know more about SKYcable, log on to www.mysky.com.ph, or call the 24-hour customer service hotlines at 02-381-0000 for Metro Manila and Rizal, 046-484-4701 for Cavite, 049-534-1555 for Binan, Calamba and Sta. Rosa, Laguna, 02-520-8560 for San Pedro, Laguna, 044-693-5877 for Bulacan, 074-442-4841 for Baguio, 032-421-1818 for Cebu, 034-432 0051 for Bacolod, 033-300-1210 for Iloilo, 035-225-1010 for Dumaguete, 082-305-5456 for Davao, and 083-301-3134 for Gen. Santos City. TAKEN 3 Now out on DVD! Relaxing Mother's Day at Nobu Spa. Welcome Happiness with Happy Socks! Honor 6 Plus Now In Manila! Giant MTV Logos Pop Up Across Manila! Win MTV Music Evolution Show Pass! M&M's Characters Live the Fun In The Philippines!